This small rock is also known as Little Cay. This unfortunately named scrap of ground is located close off the Silly Creek area of Providenciales. Terrain consists mainly of limestone ironshore with patches of very light coastal vegetation. 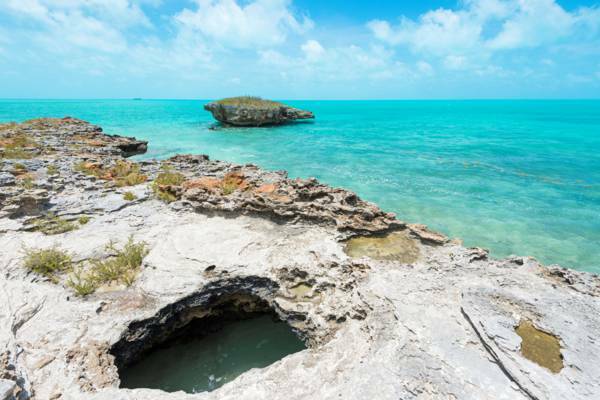 Maggot Rock is found very close off the coast at Silly Creek on Providenciales.